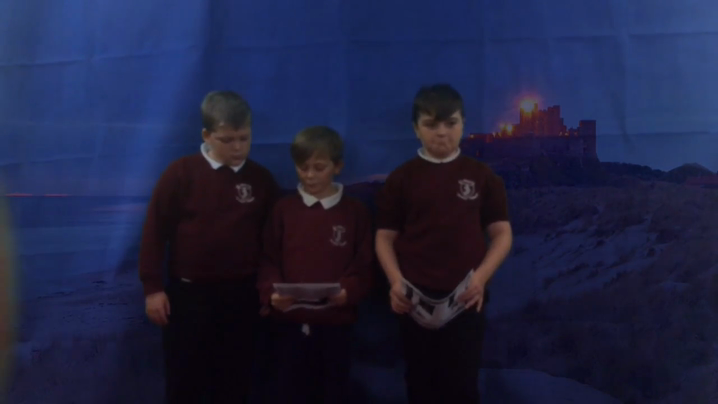 This week we’ve taken on the role of reporters exploring the invasion and destruction of Lindisfarne. 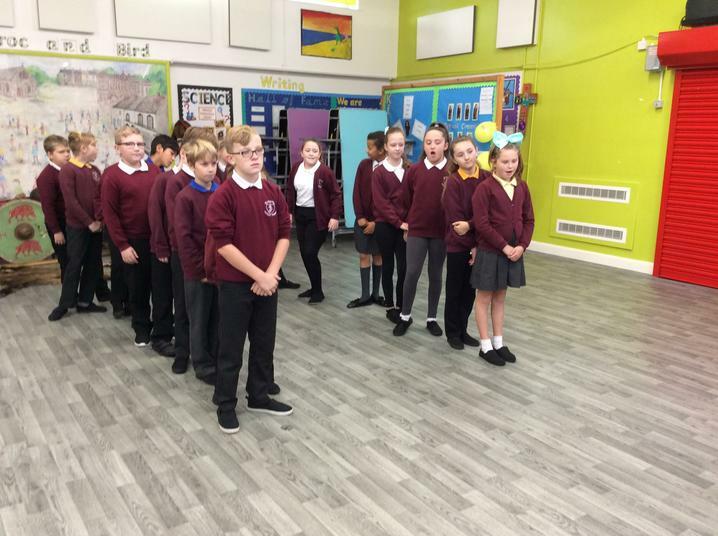 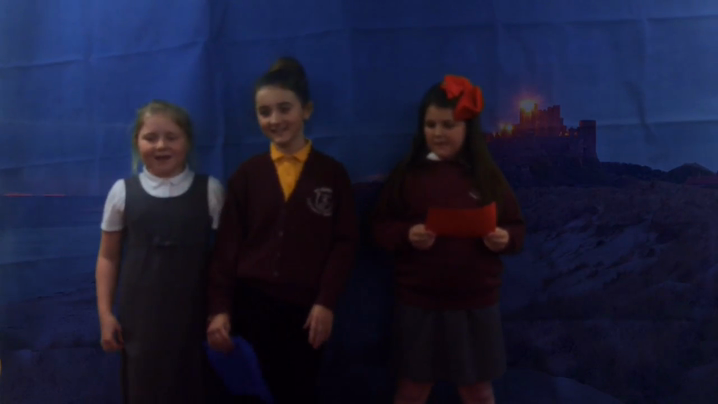 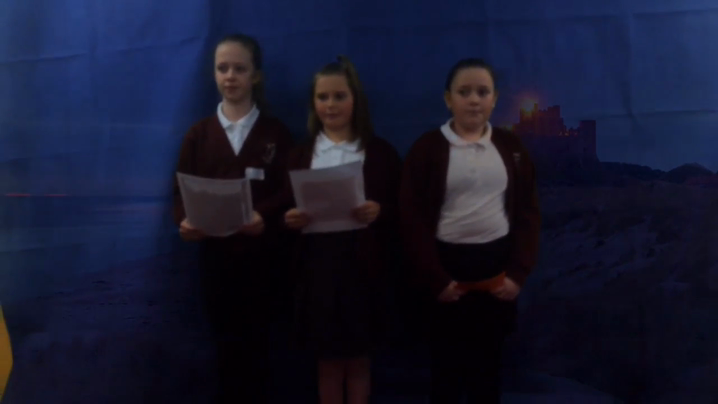 We created news reports using our amazing green screen! 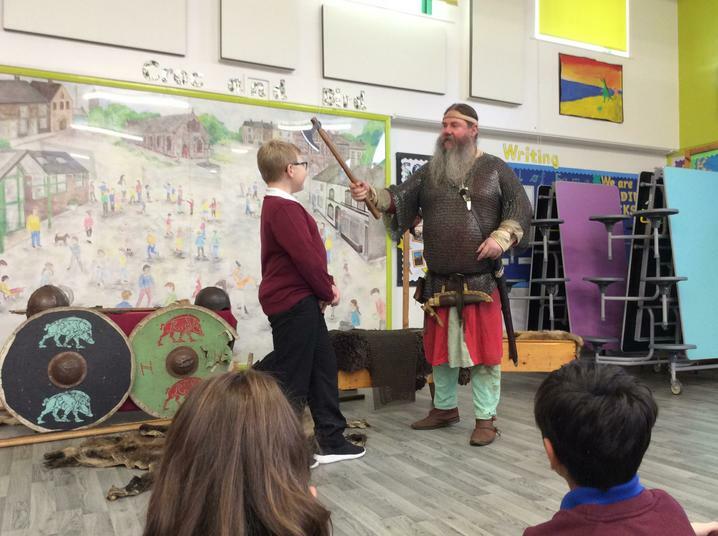 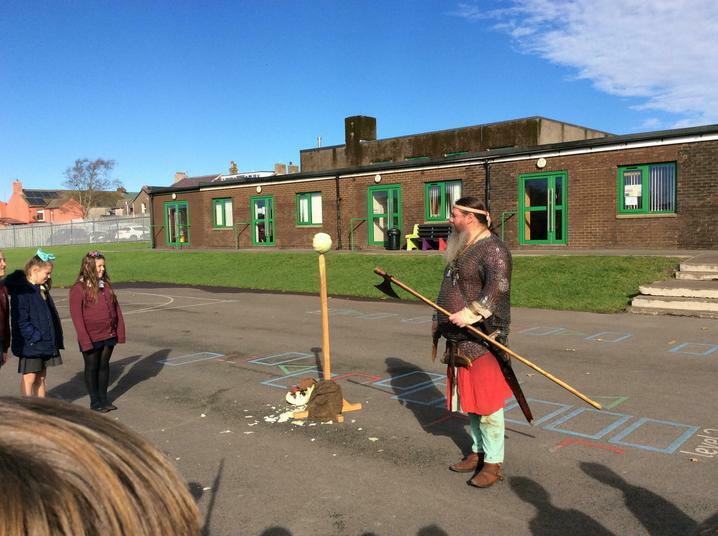 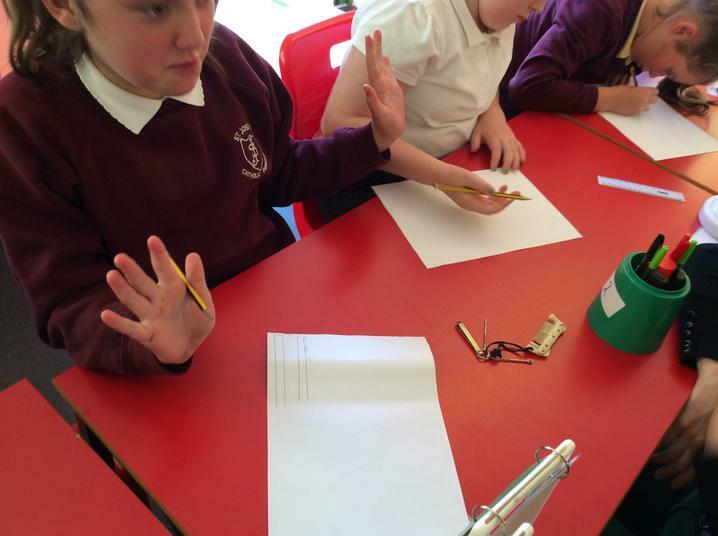 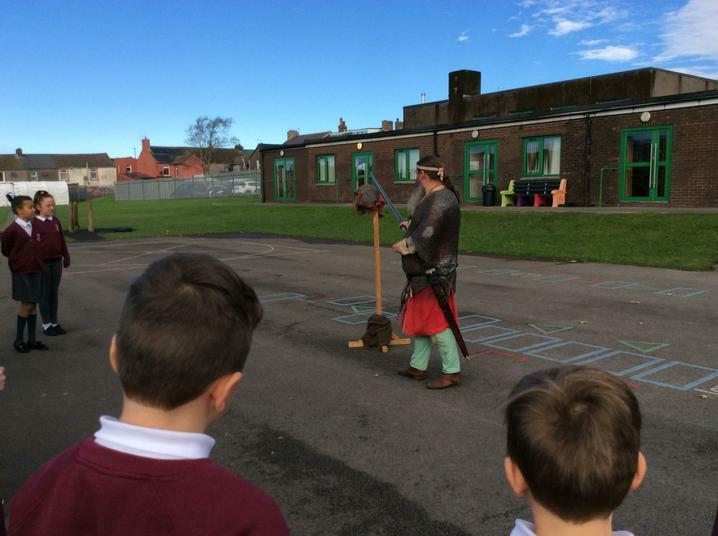 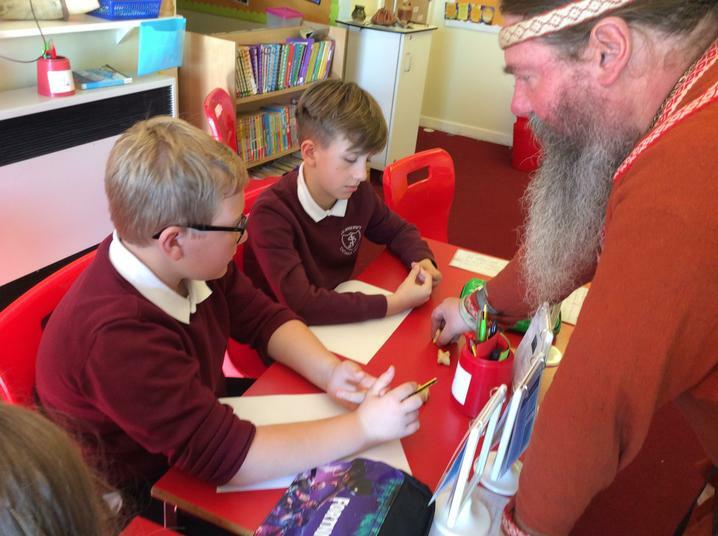 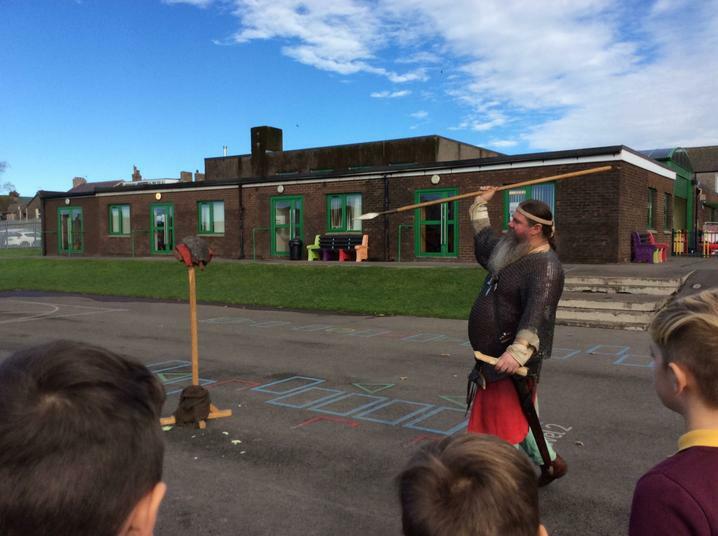 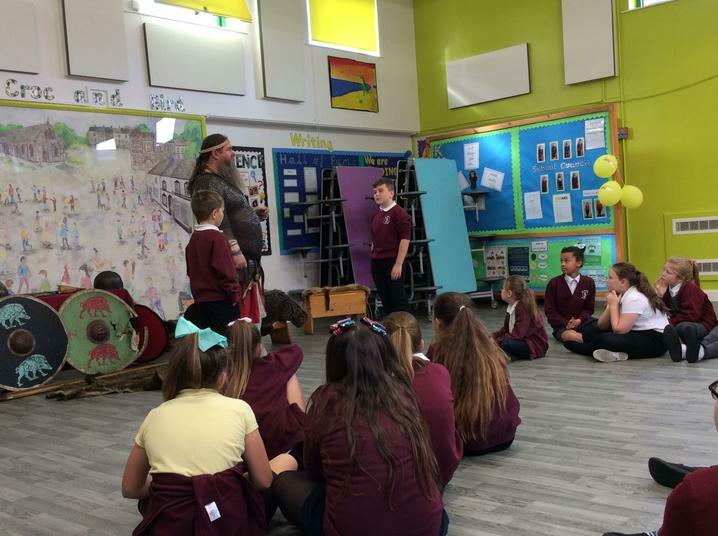 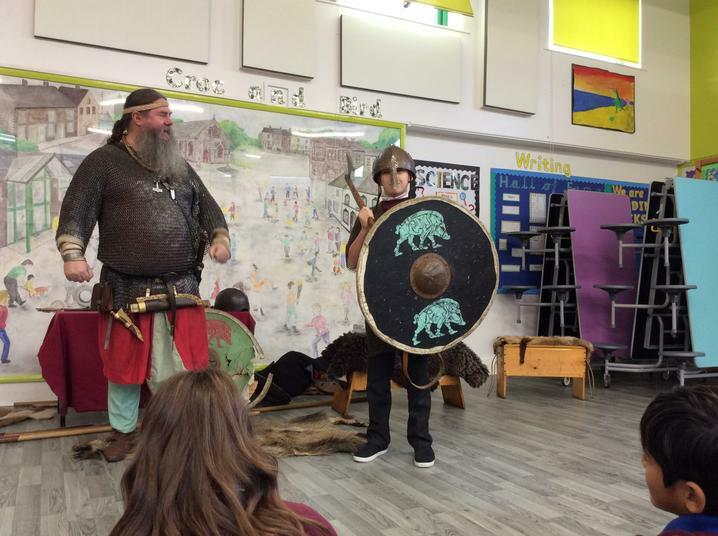 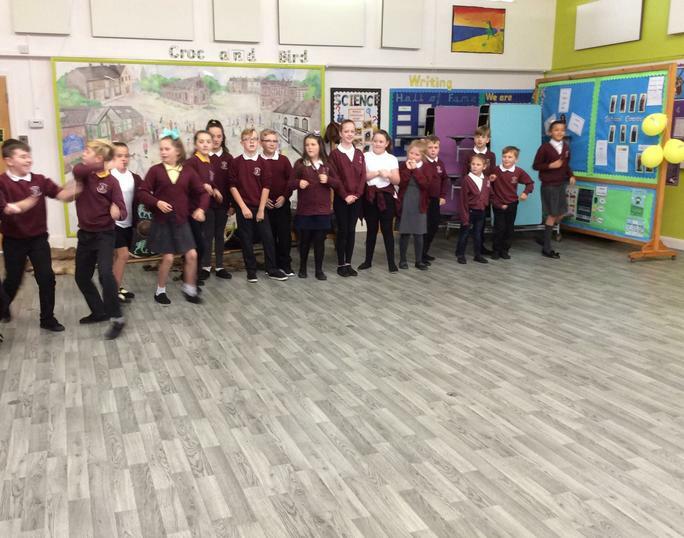 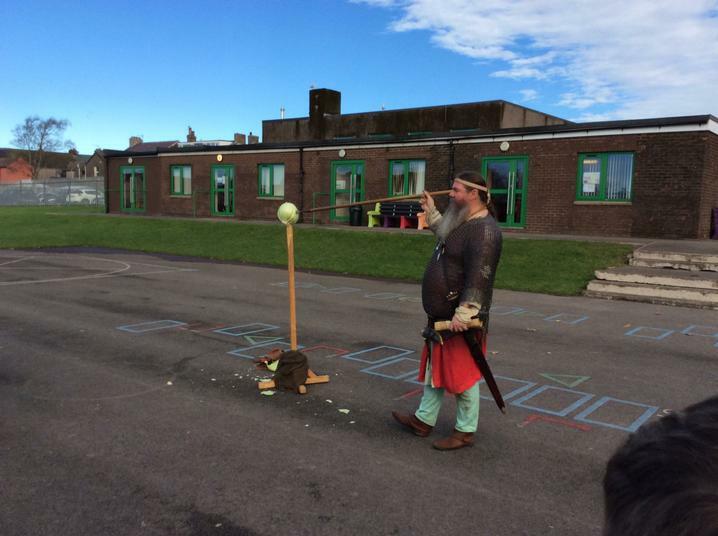 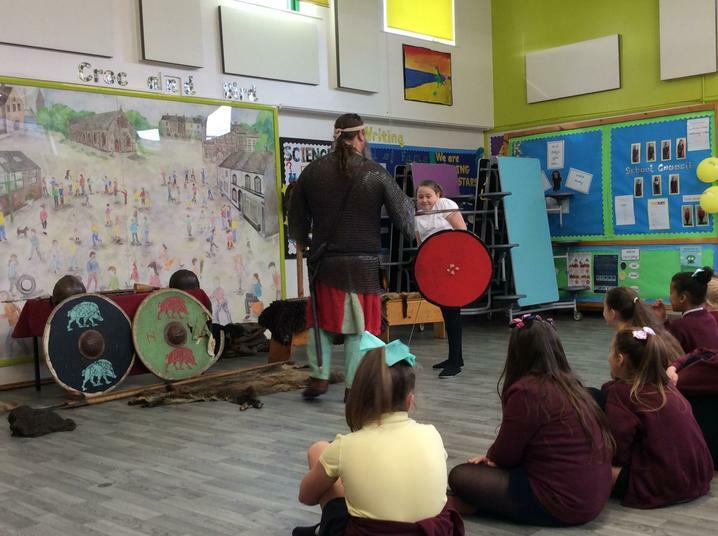 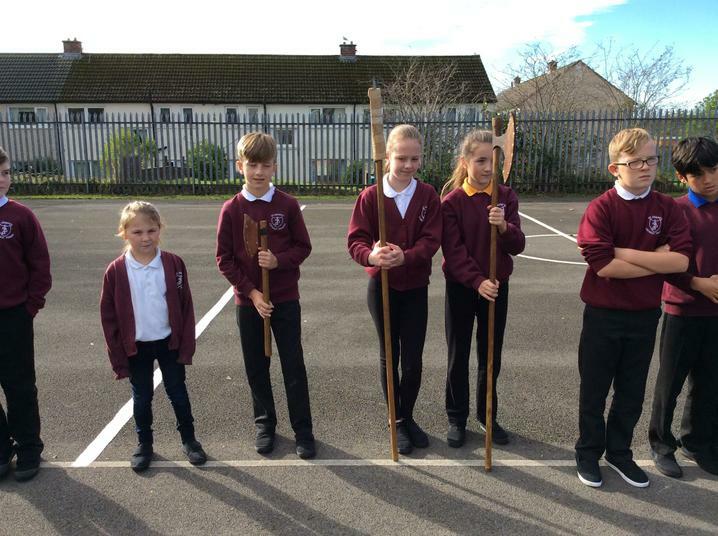 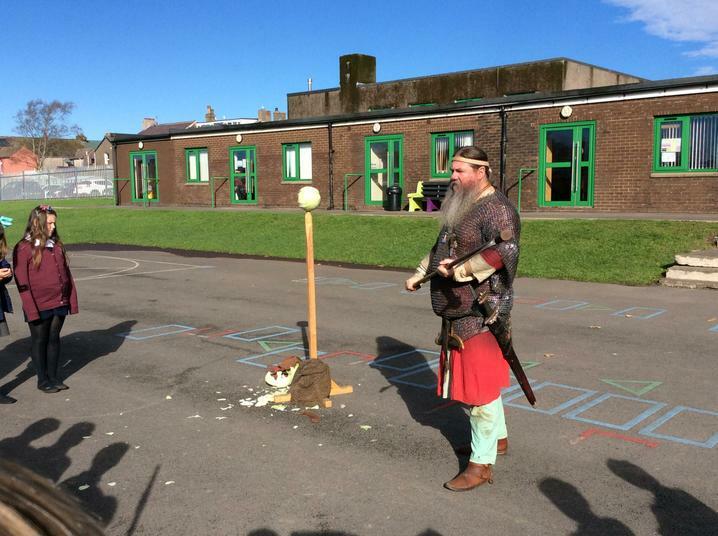 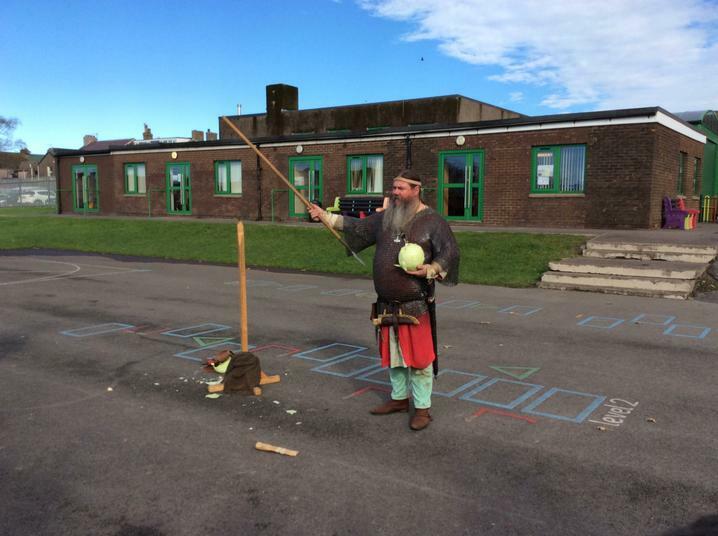 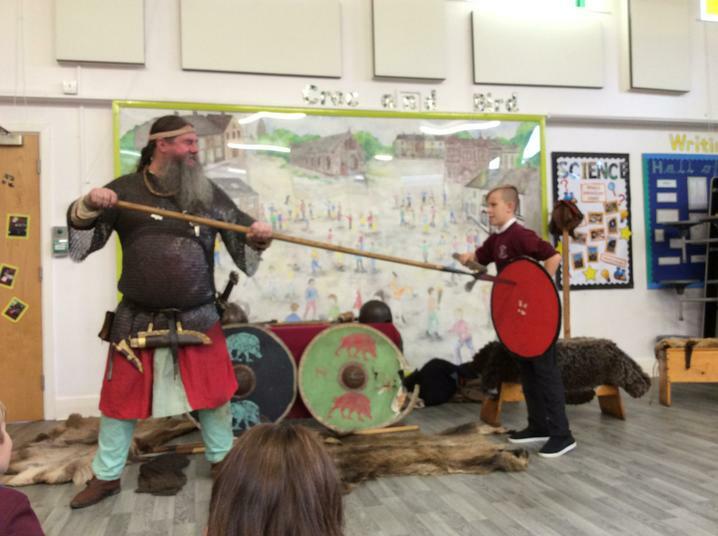 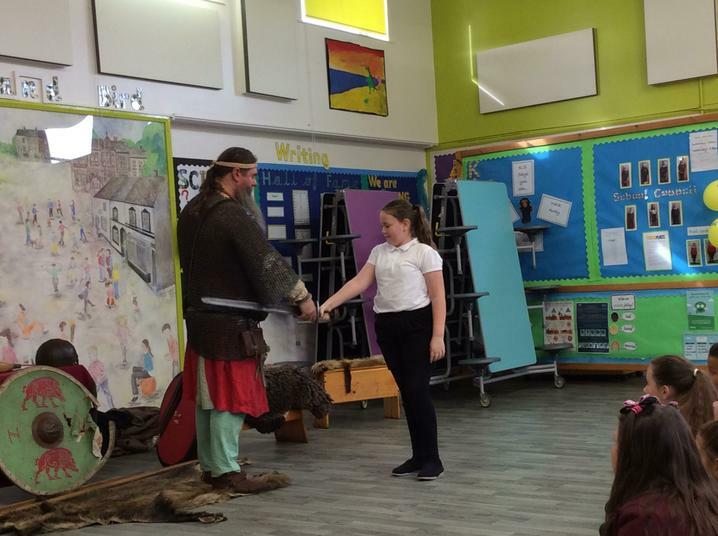 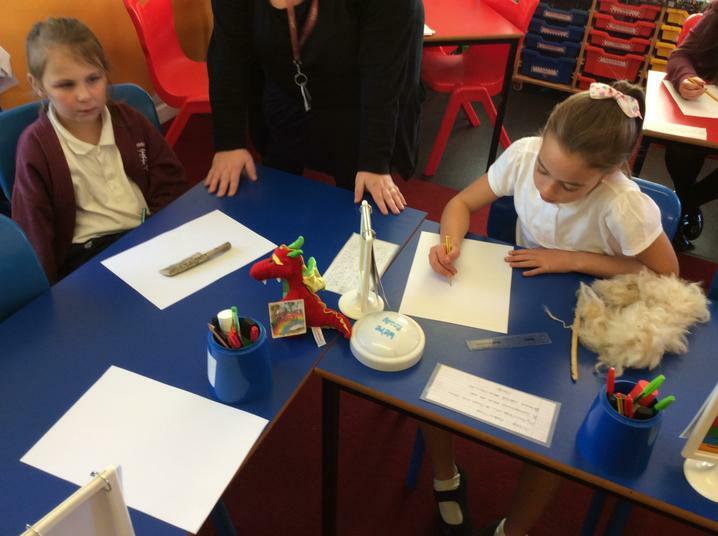 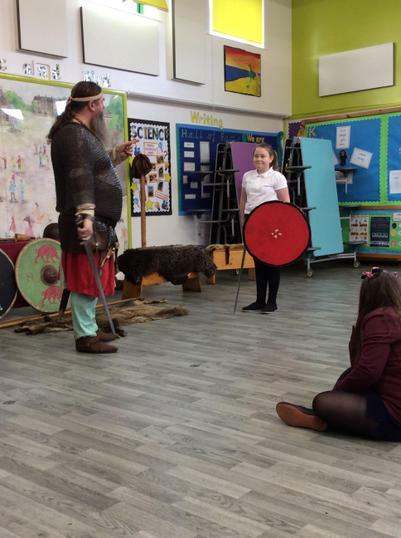 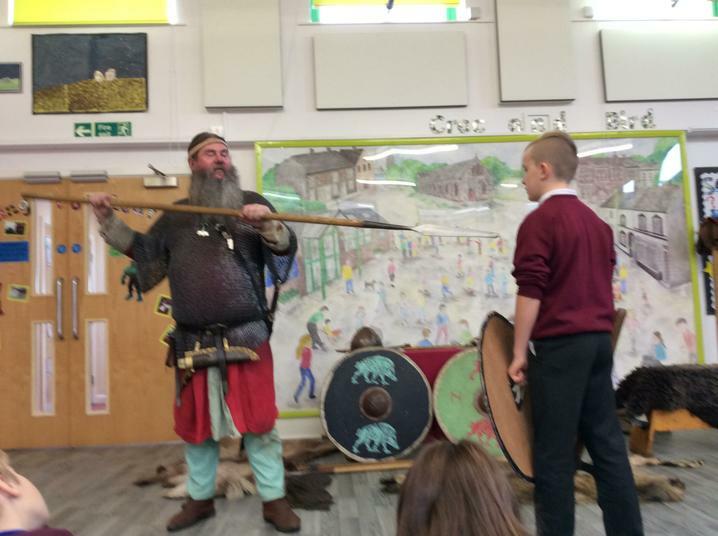 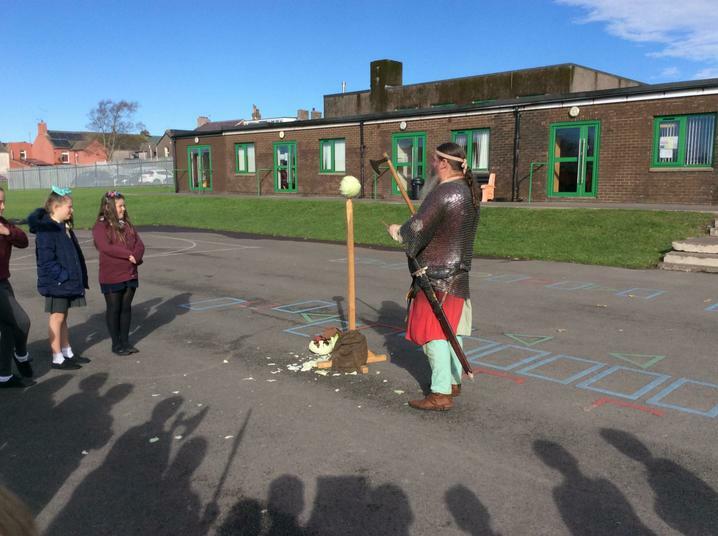 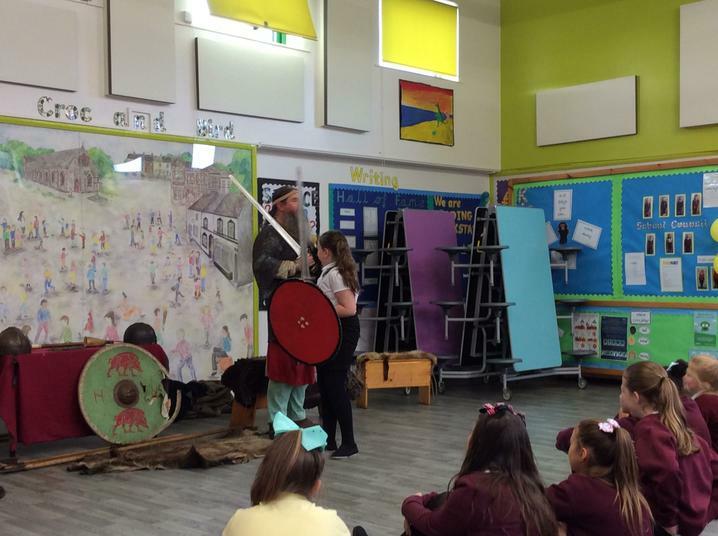 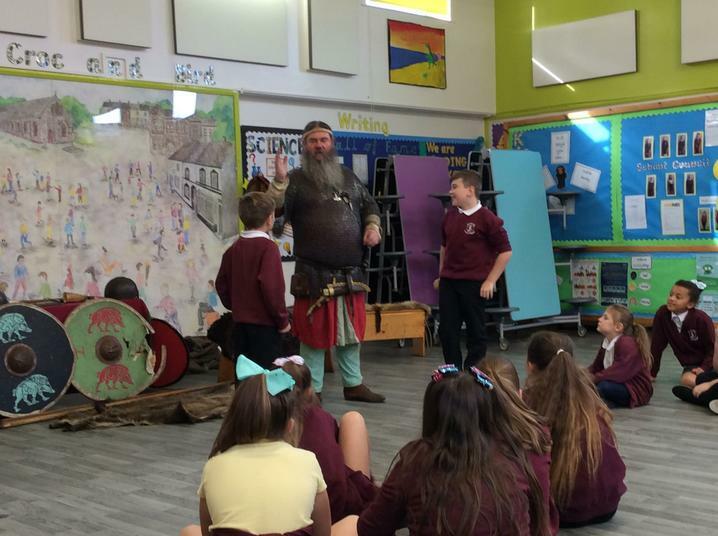 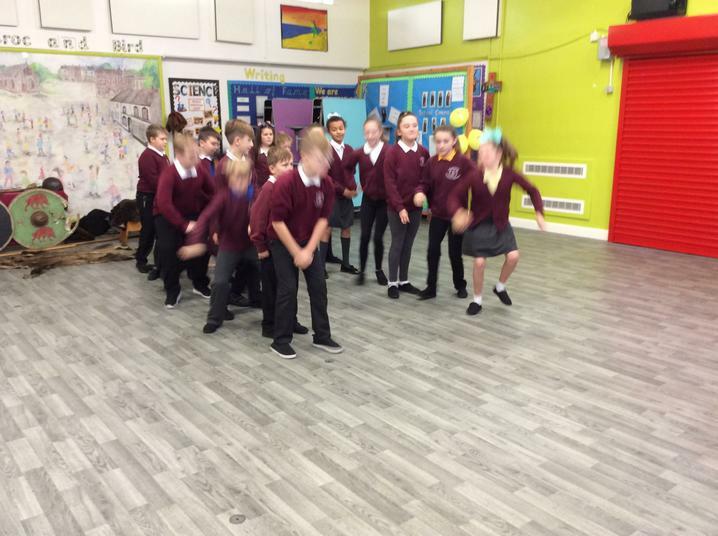 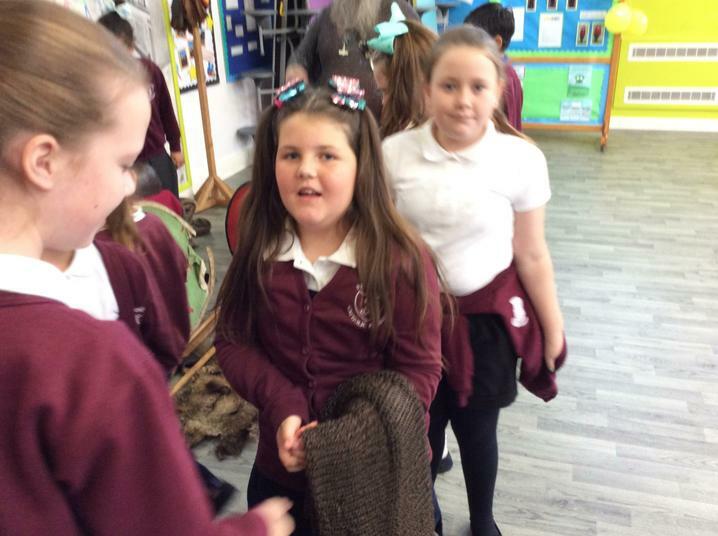 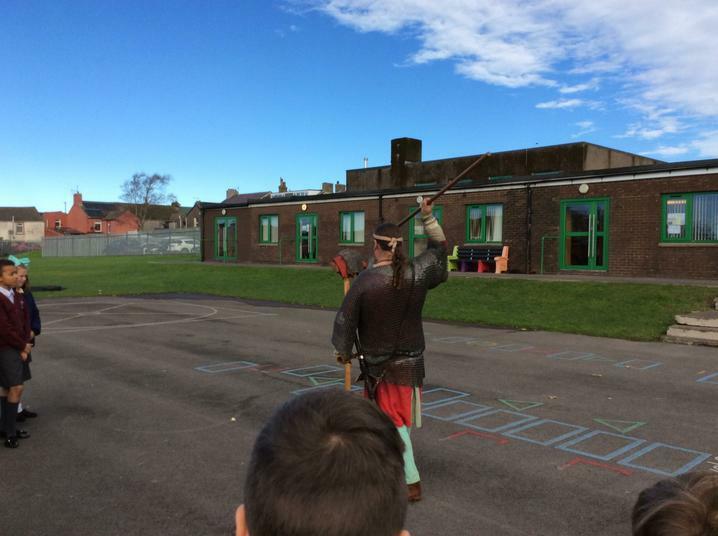 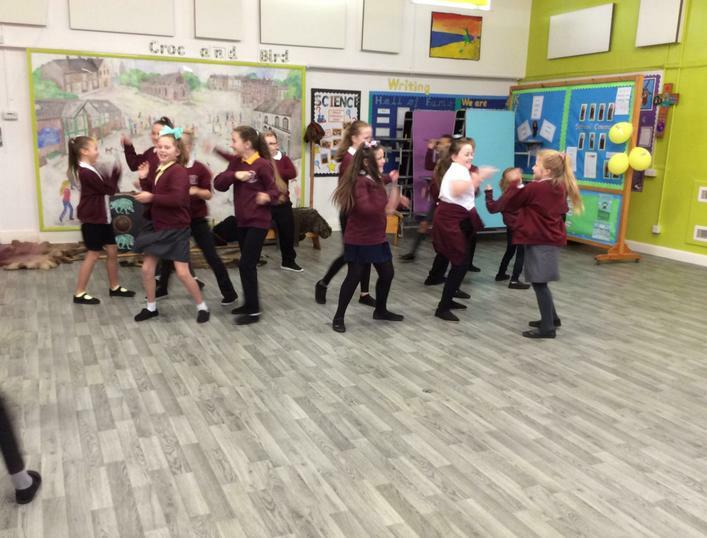 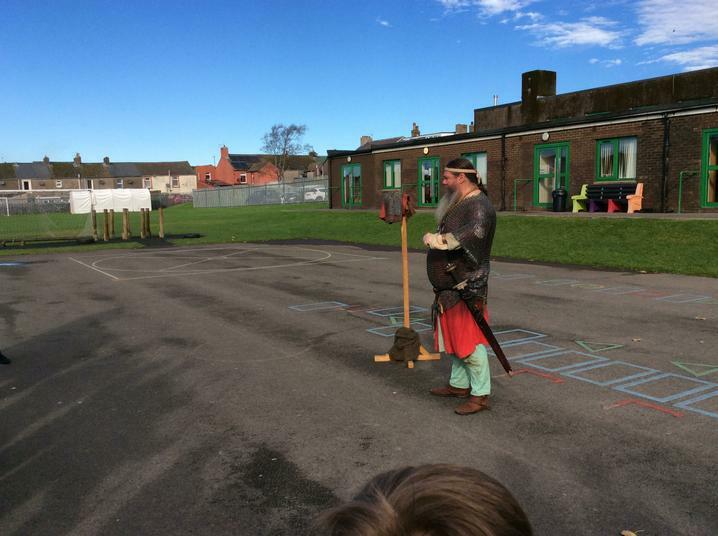 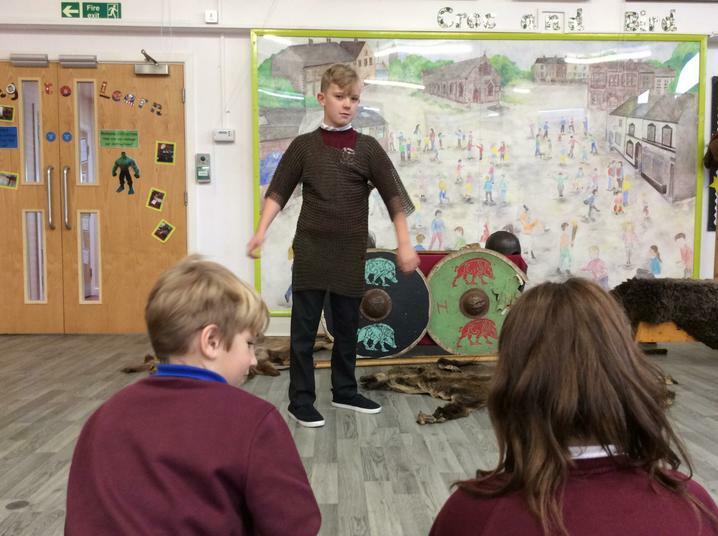 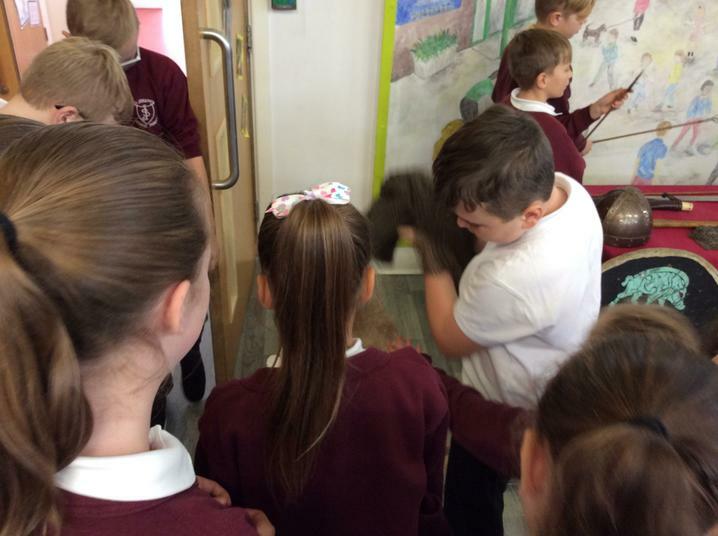 On Monday, class 4 were very lucky to have a visit from a real life Viking! 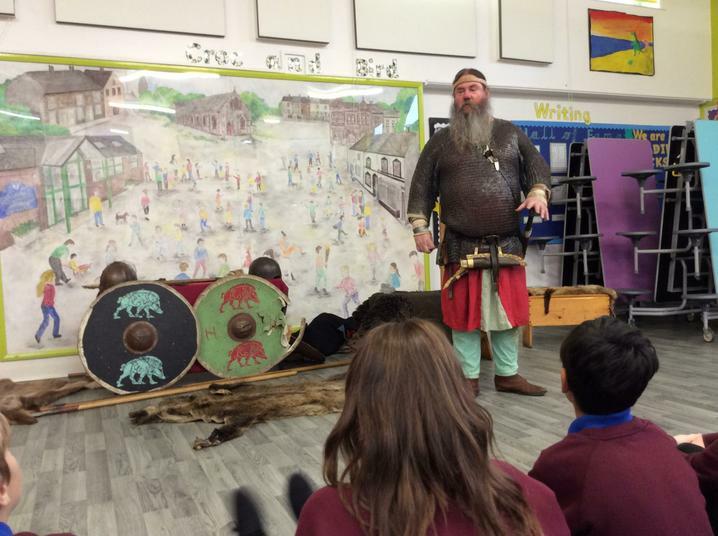 We learned all about where vikings came from and their lives through the story of Egil the Viking. 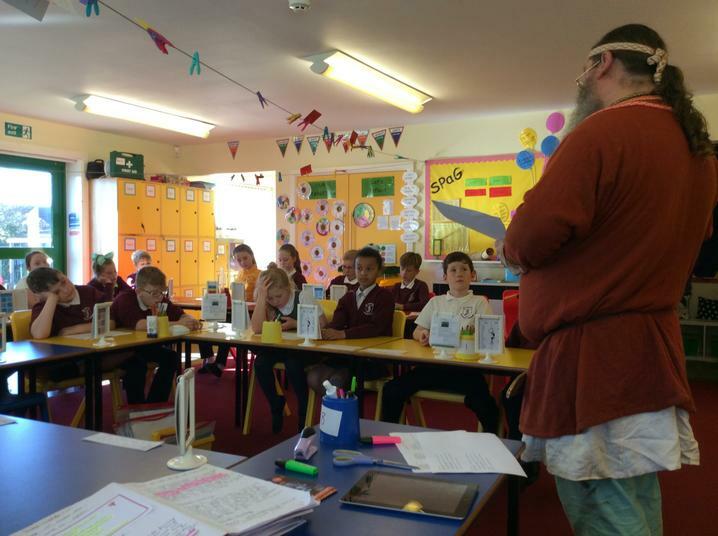 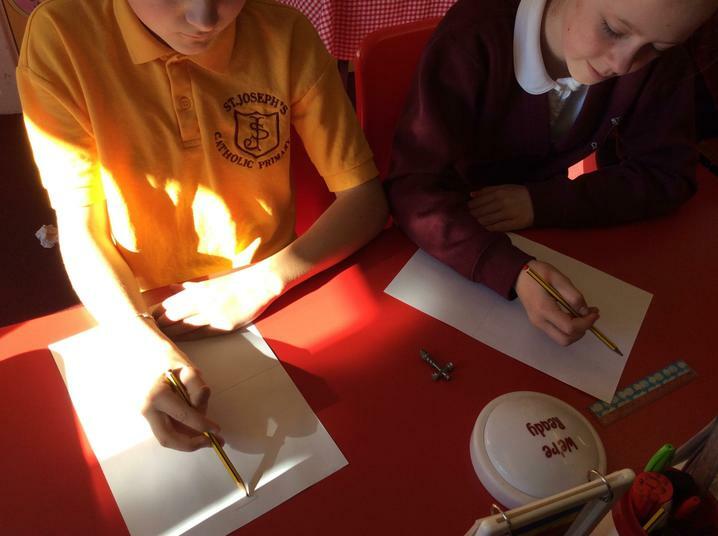 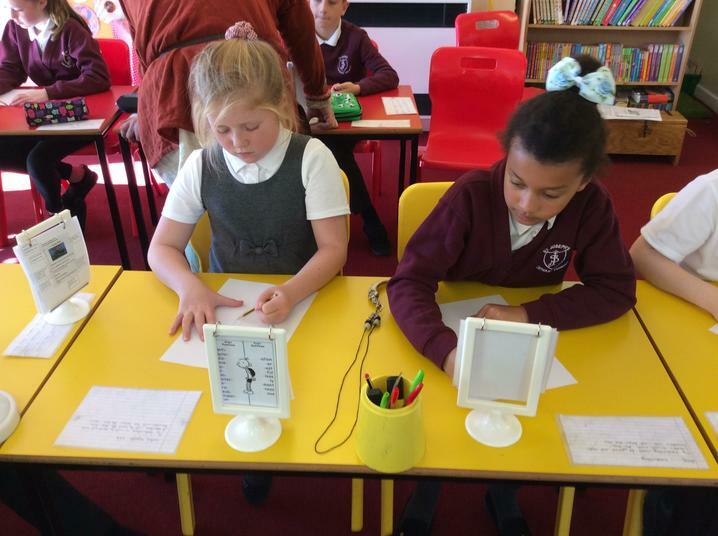 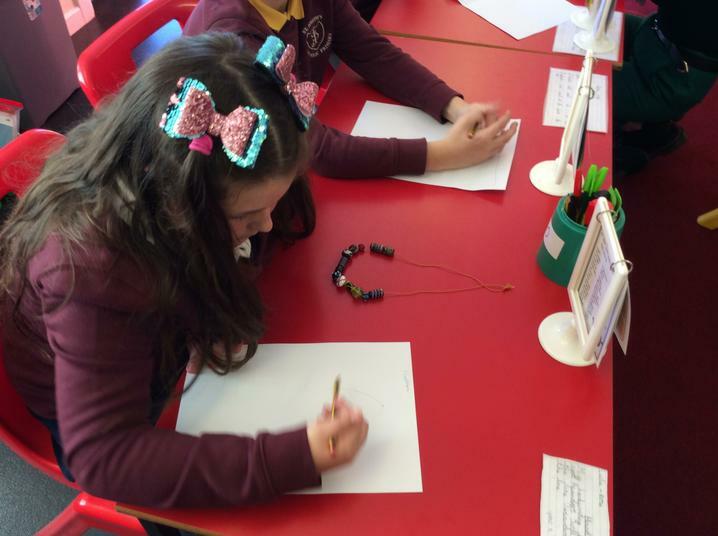 This week we've explored Saxon villages and discussed how they're different to ours. 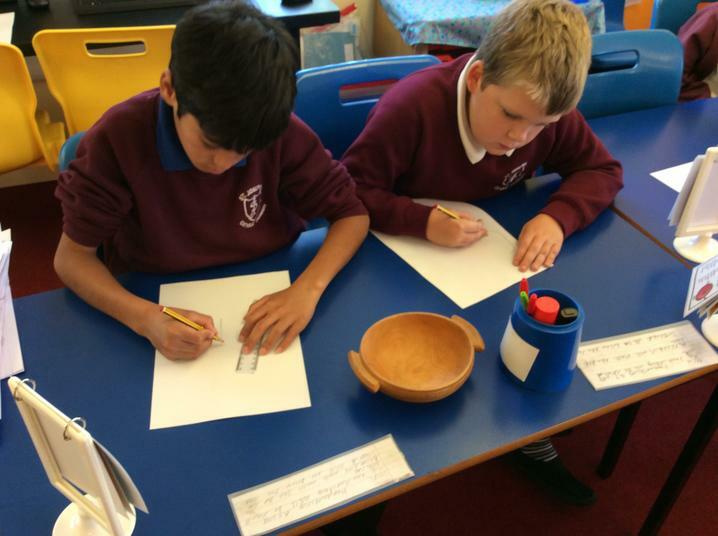 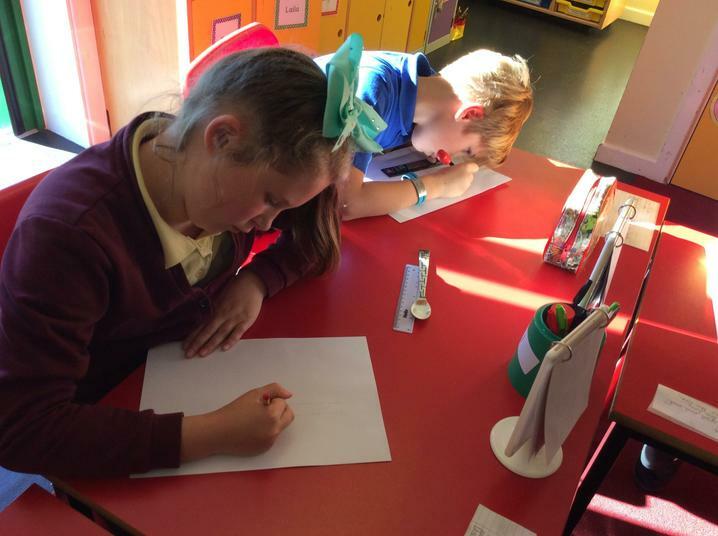 We have found out all about Saxon homes and how they were made. 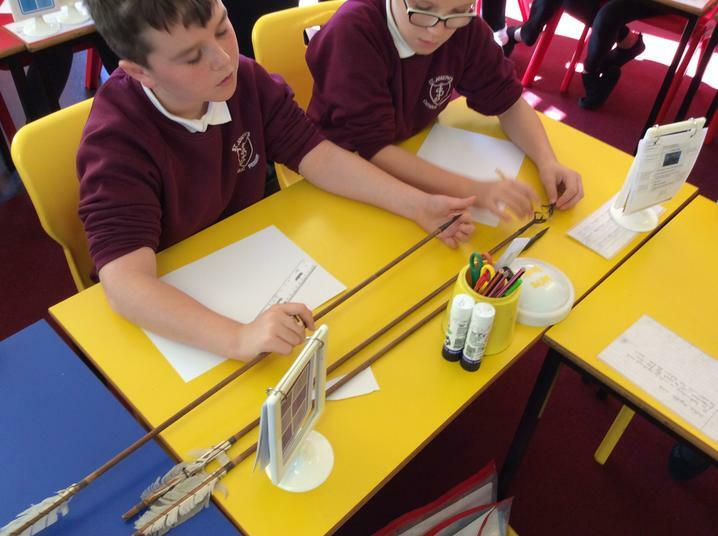 We used this to help us create our own flip-book Saxon homes where you can explore the insides and outsides!